Located in the heart of the city and very near to the most important entry point - the city's railway station. 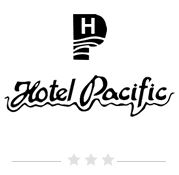 Hotel Pacific is just two minutes walking distance from the rail head. With more than 18 years of continuous service, the hotel is one of pioneers of hospitality in the city. Rooms : Hotel offers 15 well appointed,spacious rooms with all the basic facilities designed with a focus on comfort and convenience to make you feel comfortable and home. Banquets : Located in the heart of the city and away from the hustle and bustle of the market place the hotel is ideal place for Business meetings and banqueting up to 200 persons. Hotel also offers a air conditioned conference hall for up to 70 persons.